The key ingredient to this marinade is the moroccan spice mixture of ras-el-hanout , a exotic mixture that might include up to 30 ingredients such as rosebuds, cardamon, cinnamon, nutmeg, allspice, turmeric, coriander, cloves, lavender, ginger, pepper and mace. Obviously, you would want to buy this already prepared. When I first started to cook with this moroccan spice it was hard to find ras-el-hanout but today it’s in many supermarkets and of course readily available on-line. You can double this marinade and use on leg of lamb as well. 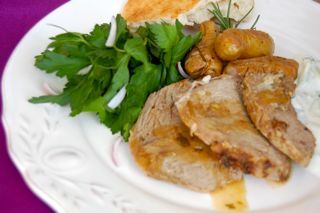 The results are a very flavorful lamb with a minimum of effort. Enjoy! From by the bay, wishing you exotic moroccan food memories! To make marinade place all marinade ingredients into a food processor and pulse into a paste. Pour marinade into a resealable plastic bag along with lamb chops. Rub paste into chops and keep refrigerated for at least 4 hours . Bring to room temperature before cooking on grill or in grill pan using a little olive oil a few minutes on each side until done ( depending on thickness and your preference of color). 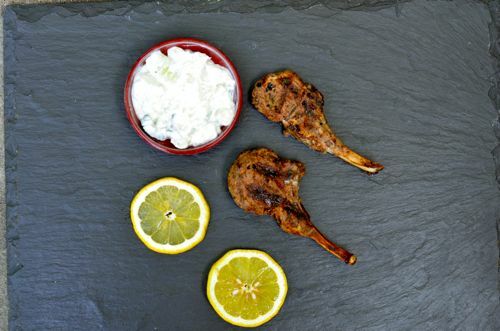 This entry was posted in lamb and tagged lamb recipes, marinade recipes, moroccan recipes, ral-el-hanout recipes, tzatziki recipe on September 4, 2014 by entertainingbythebay. My mom is of Greek heritage. One of her many great pleasures in life includes being an active member in the local Greek church. The church has an annual outdoor summer festival, which recently got rained out on opening night. My mom missed the festival and another opportunity to enjoy some greek food because of torrential rain. So when mom came to visit this past weekend, I decided to make a greek style barbecue. 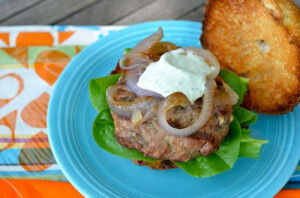 The burgers were made of ground lamb mixed with feta, mint and a nice amount of lemon juice. 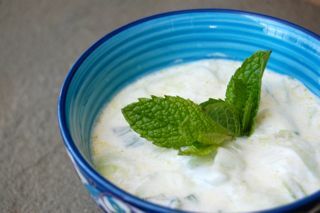 My yogurt dressing was filled with fresh leafy herbs from the garden. The burgers were a big hit with mom and we had perfect weather too! From by the bay wishing you some greek food memories! In a large bowl combine lamb, lemon juice, feta cheese, mint and salt and pepper. Make 4 patties. Brush the outside of the patties with olive oil on both sides. Preheat grill. Grill approximately 5 minutes on each side or until well done. 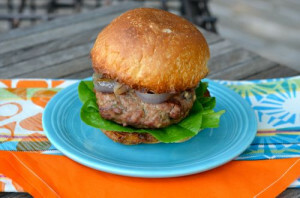 Place burger on ciabiatta roll along with lettuce, roasted red onion and herb yogurt dressing. Place all ingredients in a food processor, blend well. Keep in refrigerator until ready to use. This entry was posted in lamb, main dish and tagged burger recipes, feta recipes, Greek food, Greek recipes, greek yogurt recipes, herb recipes, herb yogurt dressing recipe, lamb recipes, mint recipes, summer food, summer recipes on May 25, 2014 by entertainingbythebay. A good friend of my recently took me to a Lebanese restaurant and we were delighted with the food and the wide variety of small plates offered. This is my version of our favorite dish we experienced that evening. 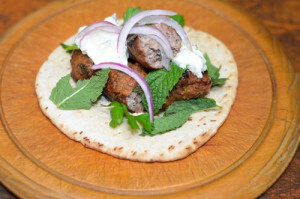 These lamb meatballs are flavorful little bites that work terrific as an appetizer, to serve at a cocktail party or just to make an easy sandwich, a few in a pita bread with some greek yogurt, sliced cucumber and mint. It’s a perfect party food since you bake the meatballs, they fry in the oven, using significantly less oil with a really easy clean up. 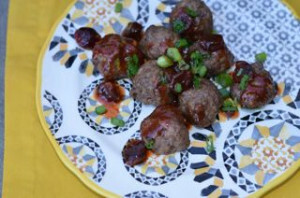 The sauce has a bit of a sweet and sour component from the cherry preserves and lemon juice, but with a middle eastern twist. It’s wonderful mix of flavors. 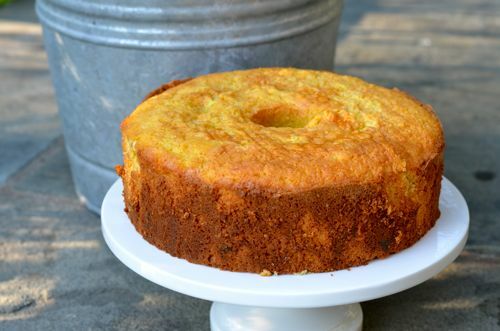 You’ve love this dish! From by the bay wishing you , sweet and sour food memories! Place all ingredients in a bowl and mix well using your hands. Cover with plastic wrap and place in the refrigerator for 30 minutes. Preheat oven to 350 degrees F. Line a baking sheet with aluminum foil and spray lightly with olive oil spray. Once the meat mixture has chilled for 30 minutes, remove from refrigerator and dampen your hands and form 28 to 30 meatballs approximately 3/4″ diameter. Place on the lined baking tray. Spray top of the meatballs lightly with olive oil and bake in the heated oven for about 30 minutes, until browned and cooked through. 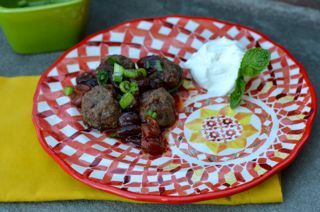 Serve with tomato cherry sauce or just plain as a party appetizer with plain greek yogurt and some chopped mint on the side. 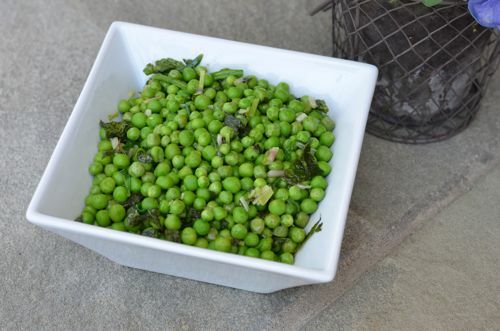 Place warm water in a bowl and add dried cherries. Let cherries soak in the water 30 minutes. Strain cherries, adding the water into a medium sauce pan. To this pan add remaining ingredients except cherries and cook on moderate heat stirring occasionally for 15 minutes. Add the cherries and simmer for another 5 minutes. Serve with lamb meatballs. Garnish with chopped scallions. This entry was posted in lamb, main dish and tagged cherry recipes, lamb recipes, lebanese recipes, meatball recipes, molasses recipes, pomegranate recipes, tomato recipes on May 25, 2014 by entertainingbythebay. My mother’s parents immigrated to the United States in the early part of the 20th century from Greece. 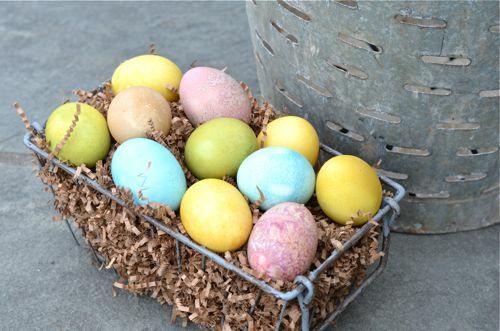 Easter by far and away is the most important religious holiday in the Greek Orthodox Church. Growing up my mother and her family would celebrate Easter with family and friends with a whole roasted baby lamb. My grandfather, my Papou, would buy the lamb and bring it to a bakery on 14th St. and First Avenue in Manhattan to be roasted. 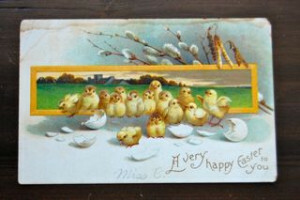 Papou would then take the subway home to Brooklyn, lamb in hand, so the family could celebrate Easter. As much as I would like to recreate my mother’s wonderful childhood memories, I’m not prepared to roast a whole lamb, but I do look forward to celebrating with the family by slow roasting a leg of lamb in the oven. I have tried different recipes over the years, but this recipe from Martha Stewart Living, is my favorite. I have adapted it a little over the years so this is the version, I’m sharing with you today. Kalo pasha………. This entry was posted in lamb, main dish and tagged Easter recipes, family dinners, Greek Easter recipes, Greek recipes, herb recipes, lamb recipes, roast recipes, rosemary recipes on May 24, 2014 by entertainingbythebay.